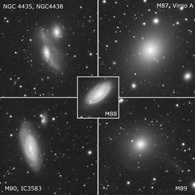 The prominant galaxie chain in the lower right of the image is also called the Markanian's chain and is embedded in countless galaxies of the virgo cluster. 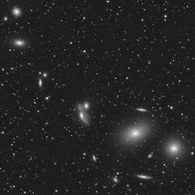 The virgo cluster itself comprises up to 2000 galaxies. 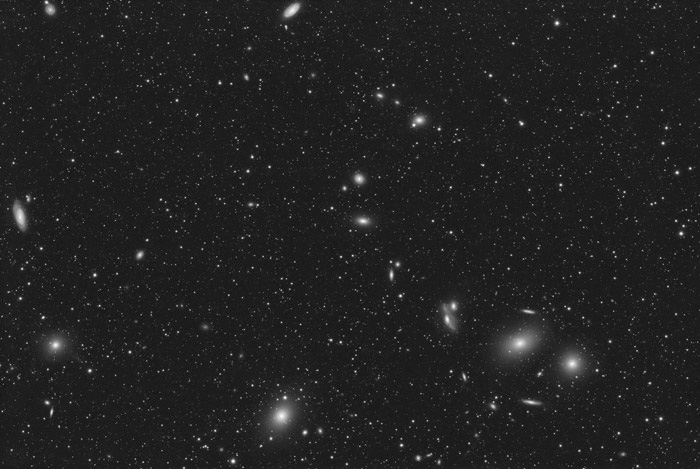 During processing I noticed a small unimpressive light patch looking like the result of an inaccurate flat field correction. Merging the the two images of either night, the light patch moved by about 15 arcminutes. Checking the comet database it was clear that it's not a poor flat field correction but the 15.8mag comet 77P/Longmore! Click on the image above for an animated view of the comet movement between the two nights.